Christmas is a wrap. Did you notice we had a cool full moon for Christmas? 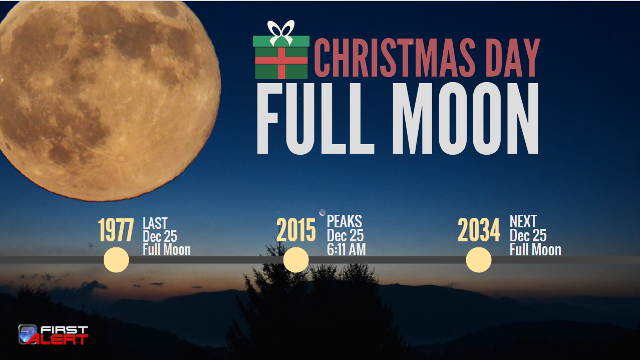 A full moon on Christmas won’t happen again for 19 more years…2034. 19 years! We might not be DOing the same things 19 years from now, we might not HAVE the same things 19 years from now…the only thing we can control is WHO we are 19 years from now. Who we are is more important that what we do or what we have. 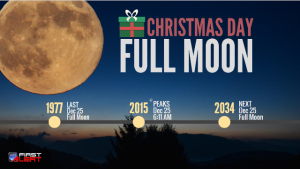 Will you aim to be devoted fully to the Lord until the next Christmas full moon? We can’t control anything but our hearts and minds (and that’s a challenge in and of itself), so, in the next 19 years, let’s not get too caught up in business results and stressed goals…may the next 19 years be fruitful spiritually in our walk with The Creator of the full moon. May we be STEADY people of God. The rest of things in life will happen, whether we want them to or not. I dare you to be crazy committed to Jesus until the next Christmas full moon. Do that and then we’ll look back as rich-rich people and recalibrate for another long run. Lord willing…I’ll be 64 then…how old will you be? Here comes 2016…let’s get started! Read the Word of God daily. Get a Bible reading plan and stick to it. When daily reading…remember that the Bible is a Library, not just a book. When reading in your library always ask these two questions, and then obey what you find out. 1. God, what are you trying to say to me? 2. God, what do you want me to do about it? You will become what you are becoming right now. 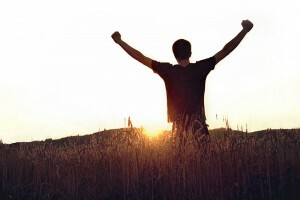 You, at this very moment, are in the greatest battle you will ever wage in all your life. You are fighting for what, one day, you will become. There are forces, seen and unseen, clashing for influence in your heart, soul, mind, and strength. These forces can typically go unrecognized by you. You might or might not feel the stress of the war being waged. You likely won’t understand the battle until you are able to look back on the whole thing, years from now…and see what you’ve become. You can influence this war’s result. You can influence what you will become. You are becoming it right now, whether you feel like it or not. The people who have become something remarkable…the people who have become something extraordinary…they are not better than you, smarter than you, and most definitely not luckier than you. No, they just chose to notice the battle being waged. They made a choice to influence the outcome of what they become. They made a decision to influence the minute by minute battle waging on them, right now. They accepted the fact that they will become what they are becoming right now. They chose to deliberately steward what the end result would be. Until you can answer the question above…you will be at the mercy of the consequences of the war being waged on you right now. It’s kind of like a summer boat party that happens everyday in your town’s closest lake. If you’ve got several friends, then the odds of you being pushed out of the boat and into the lake everyday are highly likely. If you know you are going to get pushed into the lake everyday, then you can predetermine how you are going to respond to that spontaneous splash everyday. When you predetermine how you are going to respond, then you will control your response when it actually happens. Everyday, you get pushed. You get pushed in areas of life way more important than boat parties and lakes. If you don’t predetermine how you are going to respond when you get pushed, then you will be at the mercy of emotion and other external forces that want to determine how you will respond. This is the same as your end result as a person. What do you want to become? Predetermine it and don’t let any other forces determine your end result. What do you want to become? Write it down. Clearly define it. Then make minute by minute decisions that help you become it starting right now. Thoughts – Decisions – Reputations…Oh my! 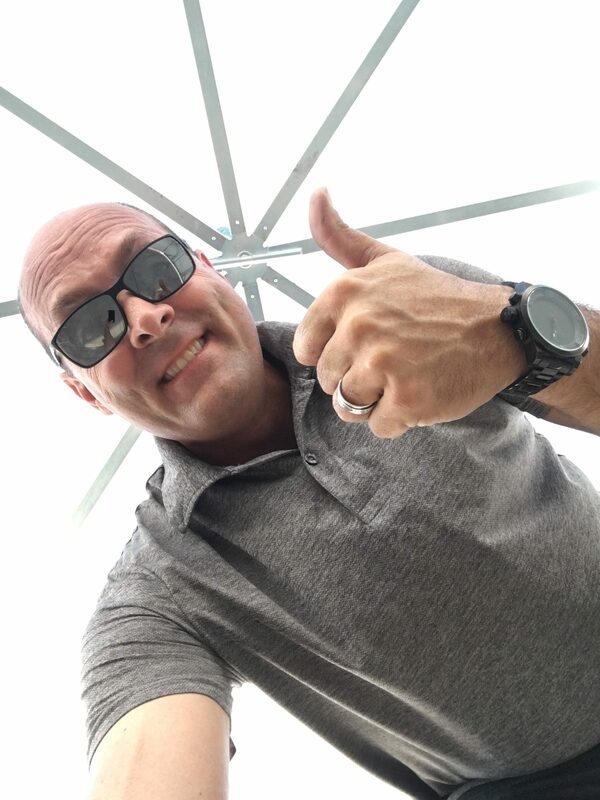 As I prepare to teach another year at Joy Christian High School, I will also be taking on the discipline of students as part of the administrative team. I’m thinking that not one single student should have to be disciplined. The choices of the student is what leads to discipline having to happen. I say the same thing about the incarcerated. Every prisoner made a choice that led them to be in prison. Our prisons should be empty. What choice did that student or that prisoner have to make that landed them in prison? They weren’t forced. They didn’t have to make the decision that landed them in trouble. They chose to make the decision. They chose to be in trouble. They chose to be incarcerated. Again, they were not forced to make a decision that resulted in trouble. This has me thinking about why people do what they do. I think there are some key words we must fully define before we can implement into our lives this phrase I tweeted out, referenced above. We must define words like Integrity, Morality, and Character. At first glance, I think these three words all seem to be the same thing. Below you will understand this to be quite untrue. I think Integrity at its foundation means to be capable of doing what you were created to do. A bridge can have integrity. A seat belt can have integrity. The chair you sit on. Integrity deals with trustworthiness and reliability. I think Morality, at its foundation, means to be a person who is doing no wrong. A moral person will not cheat, or steal, or lie. This is a great trait, but in my striving to fully grasp my tweet, we must get very technical. One can be a very moral person and do nothing. I can stay in bed all day, doing nothing, and still be a moral person. So…are you grasping with me that a person can have great integrity and morals and do nothing? Integrity is capable. Morality is doing no wrong. Character is where the magic starts to happen. I think Character is active. Character is defined in action. Character is doing the right thing. 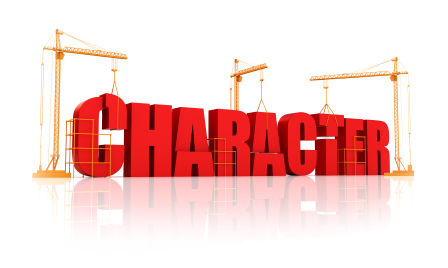 We actively build character. A person of integrity can see an injustice, not get involved, and still be a moral person. A person of morals will not do wrong. A person of character cannot sit still and do nothing…ever. Character has a spine. Character has action. Character will still experience fear, but pushes through it. Character cannot sit still. A person of character uses their capability (integrity) and righteousness (morality) to DO! Doing what is right is a result. Results create reputations. I could take the negative route here and show that just because there are results doesn’t mean morality and character are present. ie…Adolf Hitler produced many results. But…I want to focus on the positive results…aka…holiness. Integrity + Morality = Capability. Integrity + Morality – Character = Capability. Integrity + Morality + Character = Results. It is not a compliment to be told that I am a person of potential. Potential means capable, but capable doesn’t equal results. A person of potential means they have integrity and morals, but lack character. Lacking character means lacking action. A lack of character/action, I believe, simply demonstrates how you think about yourself. A person of great potential is a person of integrity and morals but not action. This could mean the person thinks poorly of themselves or of their abilities. This could mean the person has allowed the world or someone in it to influence their identity instead of Jesus. Jesus is your identifier. He is the one who died so you could live. He is the one who tells you how capable you are. He is the one who tells you how moral you can be. He is the one who created you to be of great character, thus action. He is the one who commanded you to “Go” & “Do”. This is all about your thinking. “Your thinking leads to your decisions, which leads to results.” This all creates your reputation. I can’t think of a more important passage to back this all up other than Philippians 4:4-8. 4Rejoice in the Lord always. I will say it again: Rejoice! 5Let your gentleness be evident to all. The Lord is near. 6Do not be anxious about anything, but in every situation, by prayer and petition, with thanksgiving, present your requests to God. 7And the peace of God, which transcends all understanding, will guard your hearts and your minds in Christ Jesus. 8Finally, brothers and sisters, whatever is true, whatever is noble, whatever is right, whatever is pure, whatever is lovely, whatever is admirable—if anything is excellent or praiseworthy—think about such things. 9Whatever you have learned or received or heard from me, or seen in me—put it into practice. And the God of peace will be with you. Put what into practice? Your thinking…as long as that thinking is true, noble, right, pure, lovely, admirable, and praiseworthy! Do you believe you have that much character? Do you believe that you can do all things? I believe you do. Way better yet…Jesus knows you do. He made you that way. We all know Philippians 4:13…and it can be intimidating, because our stinking thinking many times will tell us that we cannot do all things. The problem is that we read verse 13 and then stop. We read it as if it says, “I can do all things.” But it doesn’t say that! The rest of verse 13 & 14 dilutes the individual factor. They did it together. You were never created to go it alone…in anything. Check your thinking on this. When Jesus returns…I believe He will not judge us by our results…no…He will judge us by our thoughts. How you think…is everything…It is your thinking that leads to the character you make everyday. 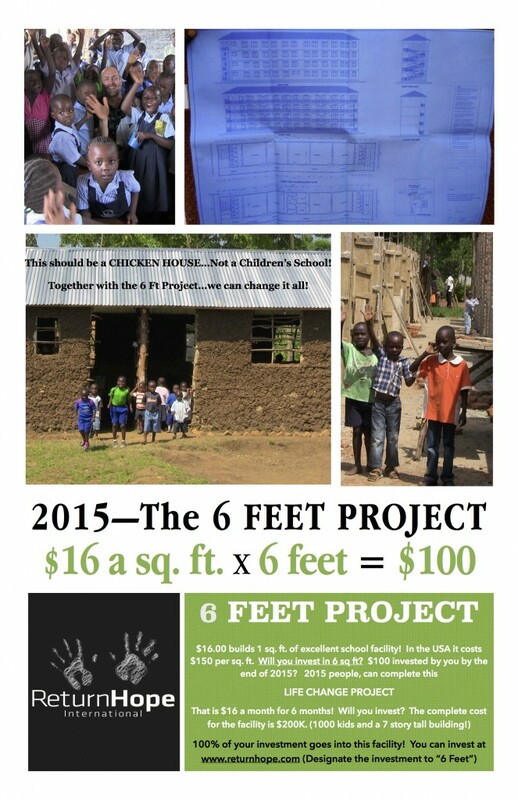 The “6 Feet Project” Challenge…Will you be 1 of the 2015? Trent Renner’s 2015 Africa Trip. Post 4 of 4… What a day Monday!! I awoke to one of the most beautiful mornings I’ve ever had. The weather was slightly overcast with no rain, but a cool 65 degrees. Uganda is on the Equator and everything is so very green. Palm trees pressed against mango and papaya trees. Lush hedges, green grass. You just really need to see it for yourself. Sam was running late this morning so I simply grabbed a chair and took it just outside the small cafe/kitchen of the hotel…took my coffee with me and just soaked it all in. It was a moment of refreshing and gratefulness. Sam arrived about 40 minutes later and we went inside and had some breakfast. The way to explain the breakfast would be to simply call it a breakfast burrito. Africa has their version of flatbread…but its thinner than flatbread. Maybe it could be Africa’s version of a tortilla…but it thicker than a tortilla…its called chapati. They have the most wonderful egg omelets….they cook them very thin. Then they take the omelet and lay it on the chapati and roll it like an awesome breakfast burrito. Africa is known for tea so there is plenty of it to drink. It was nearly a perfect morning. The only thing missing was you! The children at the school were ready. When I got out of the car you could hear the shrills of excitement and you could see the children waving their welcomes! Today was a day of presentations and celebrations. Dancing, singing, laughing, playing. Pure Joy! I was treated like a guest of honor. So many children introducing themselves in front of the whole school. Singing with great passion, loudness, rhythm, and spectacular African dancing. These children know how to dance. It is obvious that they feel the music when they dance! You must come witness it with me. The presentation went on for an hour or two. The teachers of the school acted out a play that made all my smile muscles ache. The children were given gifts from some left over Samaritan’s purse Christmas boxes and this really created a buzz of joy. When the celebration was over, I was hugged and thanked for helping them have better lives. It is quite an emotional experience. The people of Bugiri Uganda are so grateful and they express it with purity back to God and anybody who has blessed their lives. I climbed back into the car and it was time to go and visit some fresh water wells that we have been able to provide. These visits are exciting to me. It requires that we travel deeper into the African bush. We get out of town and head into the equator of the earth. It is beautiful. So much untouched natural creation. You see it like God created it and it is breathtaking. And then you arrive to meet God’s favorite of all creation…his people. Many of these people, out in the African bush, have not seen white people. I scared many children! LOL. It is quite an experience to be the only white person for miles and miles. Even if they have seen a white person, it is rare and fascinating to them. It is a strange experience. These people of God’s creation are beautiful and expressive…and in great desperation of the very things we in America take for granted. Clean water. There is much food in Uganda. My trip this time brought me right into the middle of mango season. They are EVERYWHERE. The ground is littered with mangos. It is a time of joy for the kids. As we drive down the roads…more like cattle trails instead of roads…you can see little village mud huts and outside are children climbing the mango trees or a group of them standing under a mango tree with a long stick trying to knock off the fresh mango fruit about to fall. When you greet the children this time of year and shake their hands…they are very sticky from the sugar of mangos. Its not gross…its funny. Nothing a little wash of the hands from the new fresh water borehole won’t take care of! The boreholes…aka…fresh water wells that are hand pumped…provide the cleanest freshest water you’ve seen. We visited one in a village called Sanika that was drilled in the shade of some huge trees…some of them mango trees. It seemed the water came out ice cold and as clear as I’ve ever seen it. Prior to receiving this borehole the people would have to walk about 2 miles, one direction, to carry water back from a diseased water hole. This water hole is at the low point of the area, so all the rainwater running off the land and picking up animal feces and dead animal carcass disease with it. Then the people have no choice but to drink it. It is their only option. Until you came into the picture. Thank you for teaming with me and Return Hope. We are providing fresh water wells to people who have never had fresh water in their lives. When the well begins to pump…and the people begin to drink the fresh water. I am convinced you can witness them getting healthier already. Fresh water wells changes the life of someone immediately. Their kidneys and liver begin to function properly because they are loaded down with water born diseased and bacteria. Skin diseases go away. Nobody should have to drink dirty water in the 21 century. Thank you. We are in process of actually drilling 7 fresh water holes as you are reading this. Each borehole can easily serve 10,000 people. That is a lot of changed lives. That is a lot of thankfulness. You can imagine my day as we traveled and visited these fresh water wells. The people knew we were coming and they were excited. The came bearing gifts of nuts, mangos, chickens. We had to accept their gifts. Our trunk of the car was full. We simply take the gifts back to the school children in town. It is a win/win for everybody. We were in some very poor villages or we would have probably had several goats given to us as well. One of the wells we drilled recently…had a problem and dried up. We don’t know why. But, we promise the people that Return Hope will never leave something that goes wrong undone. You and I both know that things can go wrong. So…it was exciting for me to show up and tell the people who’s well had gone dry that the drilling rigs would be following behind the new water surveyors and that a new well would be drilled within the next 14 days. It feels good to prove our integrity. I’m almost grateful for the well drying up, because it gave me a chance to prove I’m a man of my word. The people were so grateful. Imagine how concerned they must have felt after having fresh water for 6 months and then seeing the well literally go dry. I imagine the people felt deep desperation thinking they would have to return to the diseased water source. Again…it didn’t take long for us to solve the problem. We found out the drilling company we were using…didn’t actually survey that specific water well location. The locals told us they never brought out a surveyor like they usually do, or what is professionally called a geophysical surveyor equipment that identifies where great underwater sources are. So…we fired that company and interviewed a new one and we are convinced this one will not try to cheat us. Time tells all things! We are able to fix any problems with the wells without any extra costs to the donor who gave the money for the well to be drilled. God is good….he provides, if you trust Him! Return Hope charges 7000.00 US dollars for a fresh water borehole. You can’t beat that price…and I promise you we do it with the best materials for drilling and pumping. The water wells and the land are given as a gift to the community. Nobody but God owns that water well and the people respect it and desperately need it. I’ll post pictures when I return. That is what we did the rest of the day. It began to get dark and the rain clouds were looking pretty dark and were approaching. As the sun was setting I got to ride in the car back out of the African bush and into town. Again…Uganda isn’t nicknamed “The Pearl of Africa” for no reason. You must see it with your own eyes. I’m considering a short trip in October. I think I can get us all back here for about 5 days on the ground for a very good price. Do you think you could scramble raising some funds and join me? October is one of the cheapest times to fly to Africa. That is the biggest expense. I don’t bring people to Africa to make money. I do all I can to break even on the costs. I promise you we will do a quick mission trip at the cheapest price I can get you. You must come with me. You’ll never be the same. I’m preparing to leave Africa today. I have a 3 hour drive back into the city of 5 million. Kampala Africa. My plane doesn’t leave until 11:30 pm. I think I have just finally adjusted to the 10 hour time change…but with only 3 days on the ground…it’s time to be thrown off my time clock again. It can be a pretty brutal flight. I won’t lie to you. But it’s worth it. I love you and I’m grateful you have read along this journey with me. Thank you for investing in Return Hope, financially. If you are not doing so, would you please consider it? Jesus did so much for each of us. We must return the love in anyway we can. I can’t think of a better place or a better people, or a better need than those of Uganda. If you have questions please just contact me. The emails come directly to me. I will personally answer them quickly. See you back on USA soil soon. Travel with me to Africa soil soon!